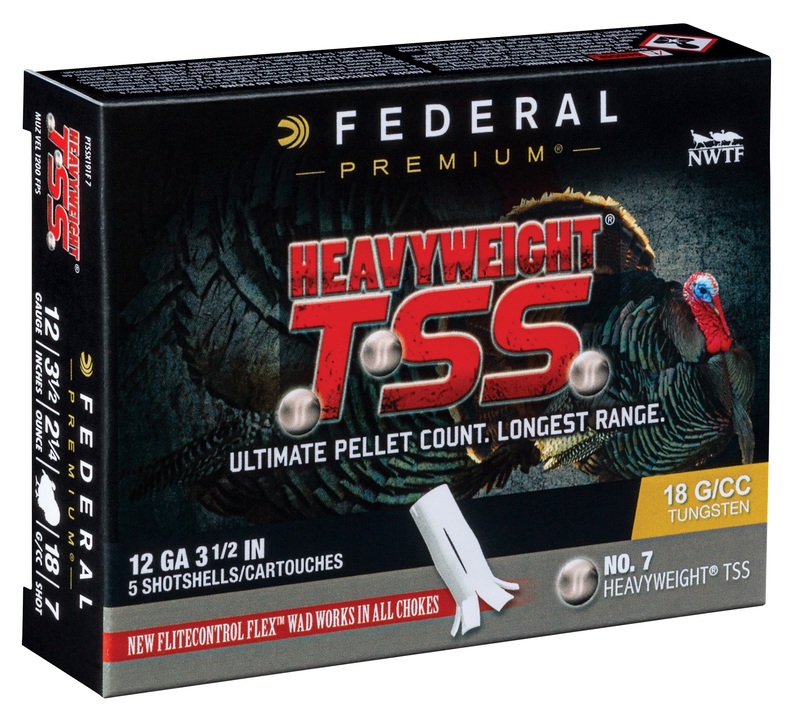 ANOKA, Minnesota - February 14, 2018 - Hunters can now kill gobblers at longer distances than ever before with new HEAVYWEIGHT TSS from Federal Premium. Its payload of No. 7 or 9 HEAVYWEIGHT Tungsten Super Shot provides the highest pellet counts possible—up to double those of lead No. 5 loads of the same weight. The product line includes various 12- and 20-gauge offerings, as well a low-recoil .410 load. Shipments are being delivered to dealers. 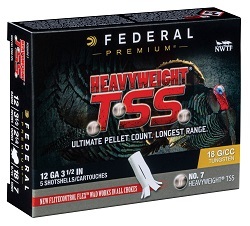 HEAVYWEIGHT TSS pellets have a density of 18 g/cc—20 percent higher than standard tungsten and 56 percent more than lead. The result is the most penetration energy and the highest velocities at extreme range. Its rear-braking FLITECONTROL FLEX wad performs flawlessly through ported and standard turkey chokes for the most consistent, deadly patterns possible. Note, the .410 load (PTSS419 9) does not feature the FLITECONTROL FLEX wad.